I have a serious addiction to Indian cusine! However many Indian dishes are not the healthiest 🙁 One of my favorite appetizers in Indian restaurants is vegetable pakoras. Traditionally deep fried made with garbanzo bean flour batter and vegetables like peas, cauliflower, potato and onion. Todays mission was to turn this delightful appetizer into healthy, vegan friendly vesion you can feel good about sharing with your family and friends. 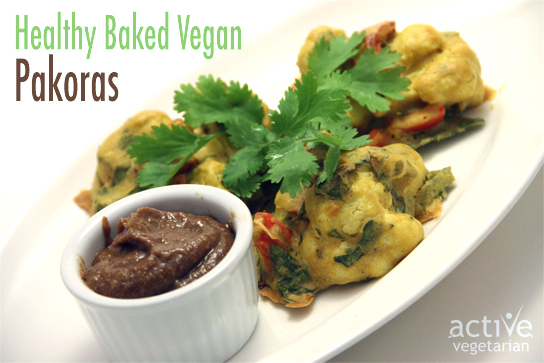 Baked pakoras are not only healthy, but also Vegan and Gluten-Free . 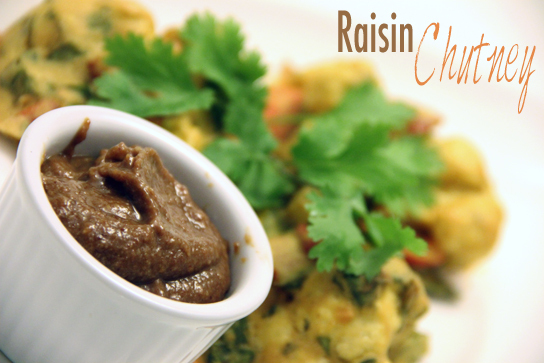 A perfect food rich in plant-based protein (chickpeas) and veggies. In a large mixing bowl, combine all dry ingredients (flour, spices, herbs). Stir in enough water to make a batter. Do it a bit at a time, making sure that is it about the consistency of pancake batter. Ours was a little too thin, but didn’t affect the overall outcome. In a separate bowl, combine all veggies, and mix well with your hands. Pour the batter into the veggies, stir. Use a spoon to ladle little bundles of battered veggies onto an lightly oiled cookie sheet. Bake for 8 minutes, then flip and bake for 10 more minutes until toasty around the edges. 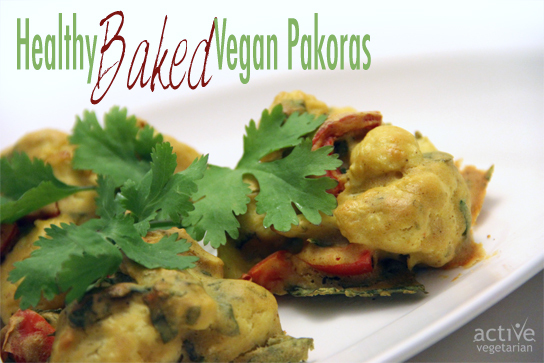 This batch made about 20 pakora for us, but the final quantity really just depends on the size you make each one. 1. Soak raisins in a water and apple cider vinegar for 1-4 hours. 2. Process all ingredients in a food processor or high speed blender until smooth.